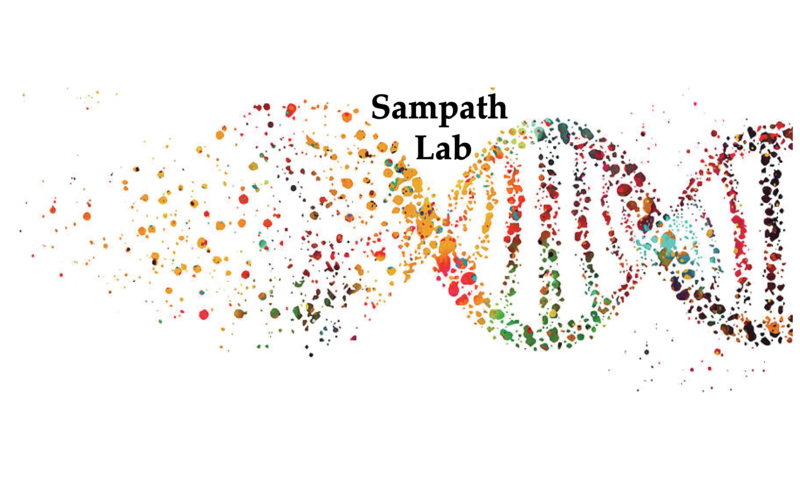 Komakula SSB, Tumova J, Kumaraswamy D, Burchat N, Vartanian V, Ye H, Dobrzyn A, Lloyd RS, and Sampath H. The DNA Repair Protein OGG1 Protects Against Obesity by Altering Mitochondrial Energetics in White Adipose Tissue. Scientific Reports. 2018; 8(1):14886. Vartanian V, Tumova J, Dobrzyn P, Dobrzyn A, Nakabeppu Y, Lloyd RS, and Sampath H. 8-oxoguanine DNA glycosylase (OGG1) deficiency elicits coordinated changes in lipid and mitochondrial metabolism in muscle. PLoS One. 2017. PLoS One. 2017. 12:e0181687. Sampath H, Vartanian V, Rollins R, Sakumi K, Nakabeppu Y, Lloyd RS. 8-Oxoguanine DNA Glycosylase (OGG1) Deficiency Increases Susceptibility to Obesity and Metabolic Dysfunction. PLoS ONE. 2012 7:E51697. Sampath H, McCullough AK, Lloyd RS. Regulation of DNA glycosylases and their role in limiting disease. Free Radic. Res. 2012 46:460-78. Sampath H, Batra AK, Vartanian V, Carmical JR, Prusak D, King IB, Lowell B, Earley LF, Wood TG, Marks DL, McCullough AK, Lloyd RS. Variable penetrance of metabolic phenotypes and development of high fat diet-induced adiposity in neil1-deficient mice. Am J Physiol Endocrinol Metab. 2011 300:E724-34. Sampath H and Ntambi JM. The role of stearoyl-CoA desaturase-1 in skin integrity and whole body energy balance. J Biol Chem. 2014 289:2482-8. Sampath H and Ntambi JM. The role of stearoyl-CoA desaturase in obesity, insulin resistance, and inflammation. Ann NY Acad Sci. 2011 1243: 47-53. Sampath H, Flowers MT, Liu X, et al. Skin-specific deletion of Stearoyl-CoA Desaturase-1 alters skin lipid composition and protects mice from high-fat diet-induced obesity. J Biol Chem. 2009 284:19961-73. Miyazaki M, Flowers MT, Sampath H et al. Hepatic Stearoyl-CoA Desaturase-1 Deficiency Protects Mice from Carbohydrate-Induced Adiposity and Hepatic Steatosis. Cell Metab. 2007 6:484-96. Sampath H, Miyazaki M, Dobrzyn A, Ntambi JM. Stearoyl-CoA desaturase-1 mediates the pro-lipogenic effects of dietary saturated fat. J Biol Chem. 2007 282: 2483-93.